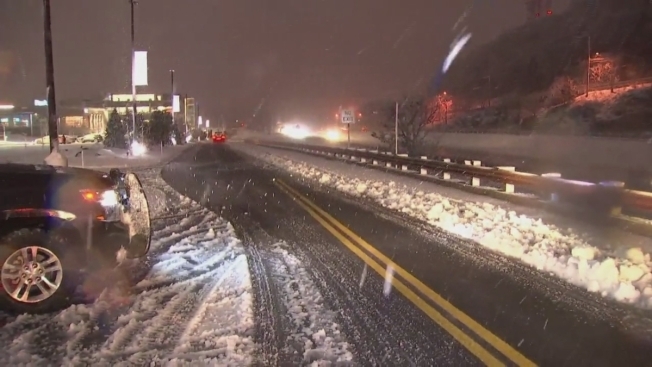 Heavy snow fell in much of New England Thursday as a fast-moving nor'easter hit the region. As much as two feet of snow fell in some parts of central and northern Maine. Most non-coastal areas from Connecticut north saw significant snowfall. Outside necn and NBC Boston in Newton, Massachusetts, thundersnow struck. The wintry weather also made for some icy roads. The snow is not a welcome sight for Angel Centeno, who planned to leave work early just to be able to make it home. 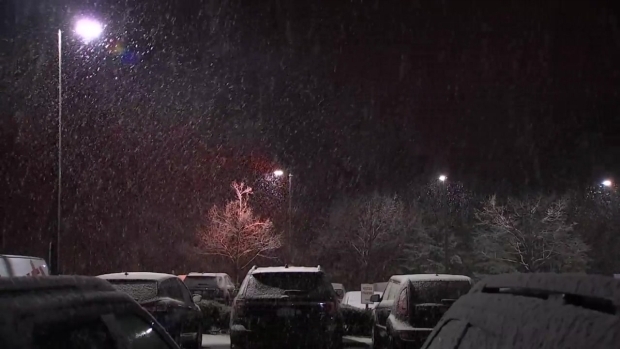 Thundersnow struck Thursday, with flashes visible outside our station in Newton. "Probably when the snow starts, I will head home because I don't have an all-wheel drive vehicle," he said. In Leominster, DPW crews got an early start, loading up with salt to pre-treat city roads. "It creates a barrier so that any precipitation we get doesn't adhere to the road surface," DPW employee David Smith said. About an inch of snow was seen in the Boston area. Southeast and coastal areas of the state received mostly rain. The National Weather Service issued a winter storm warning for most of western and central Massachusetts and a winter storm watch that extended from Essex County to Hampden County.